In order to allow the courses Hotel Management and Security Management in Apeldoorn to grow, Saxion University decided to move these to a new, more central location. Near Apeldoorn central station, a building has been created for about 1000 students. 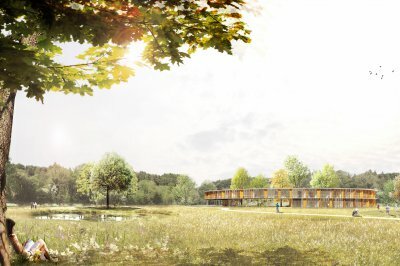 The educational building consists partly of a remountable new construction which is connected to a remnant of the former Nettenfabriek and have a matching industrial look. The new flexibly changeable component consists of four floors and is twice as high as the old part. The plan of the joint components consists of two mirrored L-shapes with an open space in the centre, which is designed as a multi-purpose hall. Because of the spaciousness of the design, it is possible to use the existing staircases, rooms and exhibition spaces in various ways. A glass wall reaching up to the first floor is applied on the ground floor of the new building, so that one can look deep into the building. 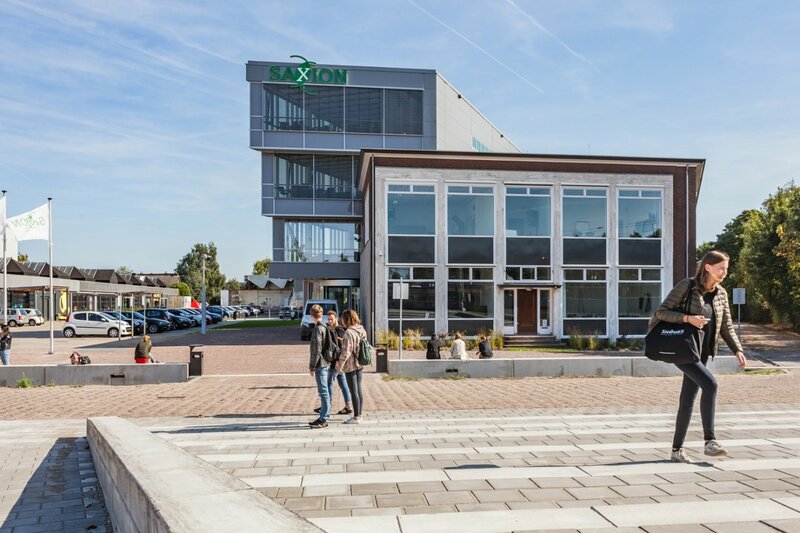 In order to adapt the construction to changing educational visions and thus extend its lifetime, Saxion opts for flexibility and durability in its new buildings, combined with comfort and a healthy indoor climate. This is based on the principles equivalent to the BREEAM method Excellent level. 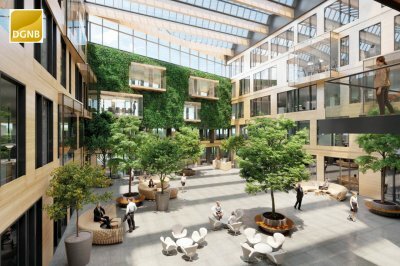 In the design, much attention has been paid to the flexibility so that the requested sustainability in the building could be guaranteed and the required BREEAM level obtained. On top of that, concrete core activation was used in the floors and a low concrete score on the environmental profile was achieved by carefully monitoring the carbon footprint of the concrete mixtures. Much care was taken in the ventilation according to the principle of fresh schools. The strong real estate programme allows Saxion to operate cross-project and thus gradually develop innovations. With that goal in mind, they opted for a cooperation with a permanent team of designers and consultants consisting of IAA Architects, ABT and Arup. This is a unique approach in the construction sector, which usually works with one team per project.